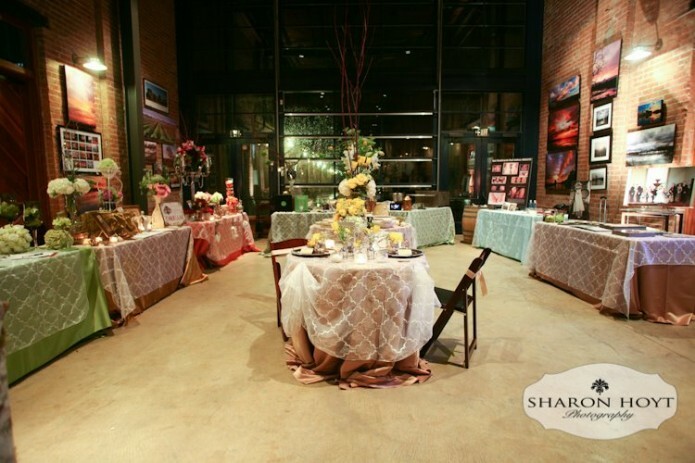 Five Tips For Your Bridal Show Visit! Okay lovely brides, it’s about that time again. For all of you that just got engaged, or some that just haven’t gotten around to attending a bridal fair thus far, here is your chance. 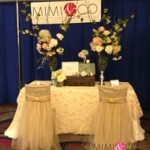 This weekend Mimi & Co has been invited to exhibit at the Sacramento Bridal Showcase which will be taking place at the Hyatt Regency downtown. We will be giving out plenty of goodies as giveaways and, as is our style, we will of course have an amazing array of all of new linens for display that day. Print out your labels and sign up for anything that catches your eye. A lot of companies do giveaways or coupons, and most are at no obligation to buy anything which is great for the you. Of course be prepared to receive emails and/or mailings from wherever you sign up. If you’re concerned with too many emails flooding your personal email, then create one specifically for your wedding items. Just make sure to check it often so you don’t miss out on any possible deals. Make sure you arrive promptly because you want to give yourself ample time to scope out the vendors and products you like best. There is also many giveaways and fashion shows that start early. So arrive on time and prepared to see what the vendors have in store for you. Most shows can be fairly large in size and can leave you receiving so many brochures and information packets that you might get a little fuzzy in the end as to which services you were most interested in. One strategy we suggest to avoid this is to use two bags for the show. You can have your Maid of Honor, Groom, or whomever you brought to help you out on this one. In one bag you put all of the brochures that you received which are potentials, and in the Bride’s bag you can put those which you know for sure you would like to follow up with so that they don’t get lost within the others. We understand that fashion is important, regardless of the occasion. But this is one runway show you might want to skip! There is a lot to look at in most of these shows, including many new items or services you may not have realized you needed for you wedding. In order to help you keep your focus we suggest wearing comfortable shoes so that you don’t tire out too quickly. Then you can just put your effort into a great outfit to go with those comfy shoes. Although you value all of your BFF’S and relatives opinions, bringing each and every one of them to a show can not only overwhelm you with too many opinions, but it can also distract you from paying attention to the show altogether. Also many vendors will only give coupons directly to the bride, so having too many people pick up brochures for you might only leave you with too many unnecessary duplicates to sort out in the end. We suggest keeping the guest count to a minimum on this one. Your Groom, Maid of Honor, or a parent who is involved with the finances of the wedding are all acceptable. Overall three people at a maximum should suffice. Finally, make sure you enjoy the process. 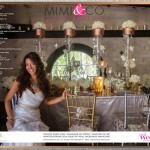 This is a once in a lifetime event and the planning process should be just as fun as the anticipation to your wedding. We hope these tips help you get started, and we can’t wait to see you this weekend! Make sure you click here to get a $2 OFF your admission. See you Sunday!